Vanuatu Prime Minister Charlot Salwai says the issue of West Papua was not successful during the recent Pacific Islands Forum Leaders in Samoa. 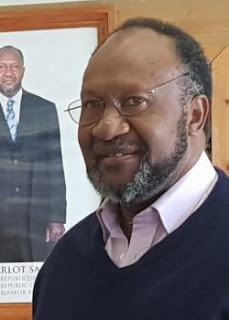 Salwai said this will not stop Vanuatu's support to voice its concerns on the violation of human rights of its Melanesian brothers and sisters in West Papua. He added that Vanuatu is no longer the only country in the region to speak out about human rights violation in West Papua. According to Salwai, several other Pacific island countries support West Papua and they will raise the issue during United Nations General Assembly in New York next week. Prime Minister Salwai made the comments after returning home from the PIF leaders’ summit in Samoa last week. He will leave for New York over the weekend to attend UNGA. Forum leaders said they recognised the constructive engagement by Forum countries with Indonesia regarding elections and human rights in West Papua and Papua. They called for dialogue to continue in an open and constructive manner. Forum Chair and Samoa Prime Minister Tuilaepa Sailele Malielegaoi rejected claims the language surrounding West Papua in the Forum communiqué is weak. At a post-Forum press conference, Tuilaepa said it was the most powerful wording you could find, adding the issues are very sensitive. Republic of Marshall Islands, Tuvalu, Nauru, Solomon Islands, Tonga and Palau have also raised the raised the plight and struggle of the West Papuan people at UNGA in the past.